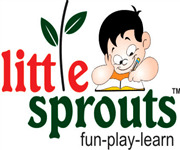 Little Sprouts Is Offering Nationwide Franchises Of Its Preschool. Little Sprouts is looking to setup 250+ schools over the next 5 years, with a main ideology of being the most advanced and affordable Preschool Franchise ever in the industry.Little Sprouts is offering Nationwide Franchises of its Preschool. The Nation wide Franchise network of Little Sprouts is expected to create ripples throughout the entire Pre-schooling Industry. Little Sprouts is looking to setup 250+ schools over the next 5 years, with a main ideology of being the most advanced and affordable Preschool Franchise ever in the industry. Have over seventeen years of combined experience in education, operations, management, development & training. We have been in Pre-schooling since 2007 in the city of Bhilai which is known as an educational hub. We are known for our unparalleled high quality services and loved for the attention we offer to our children. We are praised for our innovative technological approaches we use each day to communicate with our children & parents. •	Investment in the range of 7 to 10 lakh depending upon city/town. •	Innate love to work with little learners. •	Fire to be a thriving entrepreneur.